In June, 2016, the UN General Assembly made a political commitment to end AIDS by 2030, endorsing the fast-track approach of the UNAIDS. This political declaration is unflinching in its characterisation of AIDS as “a paramount health, development, human rights and social challenge”, and is detailed about the structural, programmatic, and normative challenges facing the global response to the HIV epidemic. But as Michel Sidibé, Executive Director of UNAIDS, asserted at the 21st International AIDS Conference held in Durban, South Africa, in July, 2016, ”If we are serious about ending AIDS, it is high time to make funding sustainable and predictable”. 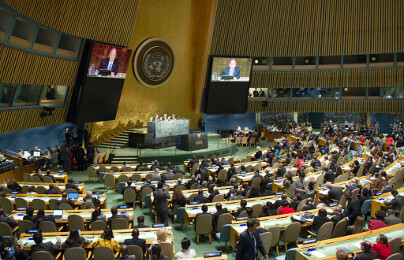 How should the post-2015 response to AIDS relate to the drive for universal health coverage? George, G., Govender, K., and Reardon, C.
El-Sadr, W. M., Holmes, C., Mugyenyi, P., Thirumurthy, H., Ellerbrock, T., Ferris, R., Sanne, I., Asiimwe, A., Hirnschall, G., Nkambule, R., Stabinski, L., Affrunti, M., Teasdale, C., Zulu, I., and Whiteside, A.